The Illogical Spoon is more than a band, they are a voice crying out in the wilderness. They are Christian anarchists who are looking forward to the collapse of western civilization so that something more organic and sustainable can replace it. They are not interested in cultivating any kind of online presence. They do not have a shred of interest in "making it". They do not have a business card. The core members live together in the Collapse House just outside of Jackson Michigan pictured above. They spend their time playing music, re-wilding, reading and pulling out invasive species on the property where they live. 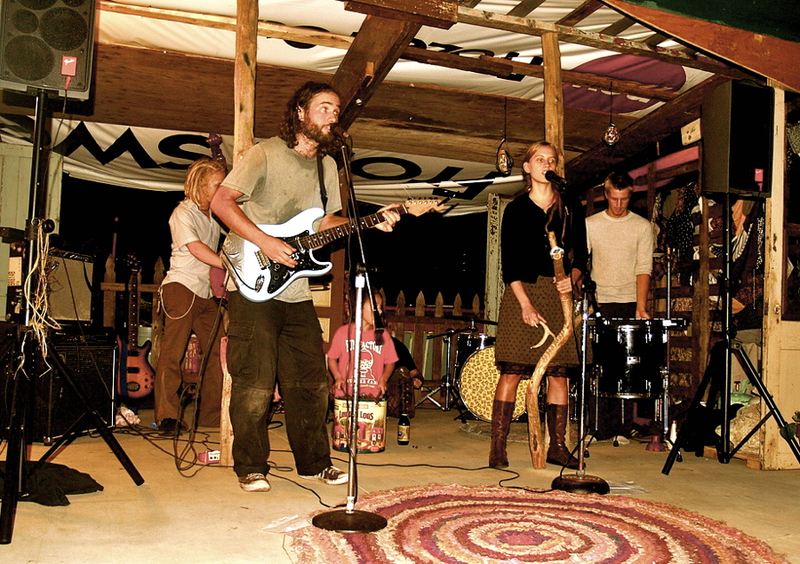 Their music is acoustic driven with off the beaten path instrumentation that invites audience participation. Every song is delivered with intense passion and attention to detail. Their arrangements volly between straight ahead folk song simplicity to symphonic layering of melodic themes. If they are anything, they are wild and they are heart wrenchingly genuine.